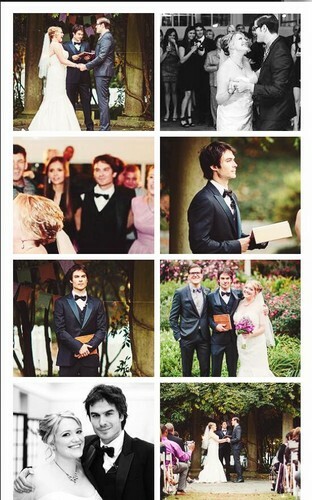 Ian and Nina at Jessica's wedding. . Wallpaper and background images in the Ian Somerhalder e Nina Dobrev club. This Ian Somerhalder e Nina Dobrev photo might contain anime, fumetti, manga, and cartoni animati.